Genealogy Research of Greeks to find your kinship and ancestors, descendants, and heirs from Greece. I provide local Greek genealogy research to help those who wish to trace the history of their Greek family from Greece and to locate their Greek vital records. The Hellenic Genealogy search results that I have discovered include records of life events based upon vital records that are available to those with Greek heritage from Greece include birth, death, marriage, and property records. Greek ancestry research results not only benefit those searching their Greek heritage but also Greeks living in Greece by re-connecting them to their families and helping them receive inheritances that would otherwise be lost to the foreign or Greek governments. The reports that I produce are created from the information derived using fact finding from Greek resources of documents and government sources to prove Greek family blood kinship and the results are translated into English allowing it to be shared to the non-Greek language family members and audience. As your Greek genealogist, I also create family trees and provide you with the information to record your history in English and in Greek to preserve the family names. Researching your Greek family history from Greece is not easy. Why? 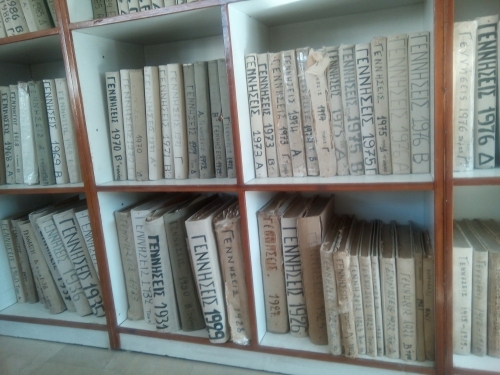 Simply because the records that you are looking for are not always digitized or available on the Internet. Personal information is limited due to the privacy laws of both Greece and the EU. This does not mean that it is impossible, it only means that more antiquated methods of finding results must be utilized. This is why I provide this service, to help make it easier as your liason with the Greek government services. All vital records from Greece are in the Greek language. All documents are translated with the presevation of the information in both the Greek and English language by us. Historical documentation in unique cases for individuals from England, France, Germany, and Italy may be recorded in those languages. Tracing your Greek family ancestry begins here. Complete the Greek Family history application knowing that the information you provide is completely confidential.